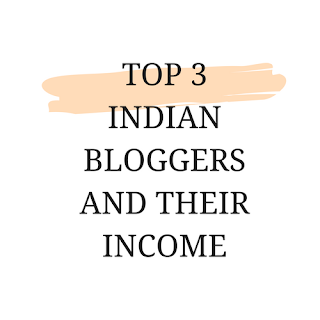 These Days In Online Buisness Many People are earning some very Good income,Now Many People are earning Good Income by doing Blogging and I'm going to tell you Some Successful Indian Bloggers about their blogs and their income generated from their blogs. nowadays blogs have become popular but only few Succeed in that Path. Amit Agarwal is the owner of the blog www.labnol.org he is an former IITian(hold Degree in Indian Institute Of Technology) He worked in USA till 2004 and decided to quit his job and started a blog www.labnol.org This blog became succesfull from few months of Luanch. blogging and blogging Sir Amit Agarwal became a full time blogger since then.His blog Contain Technology Related. 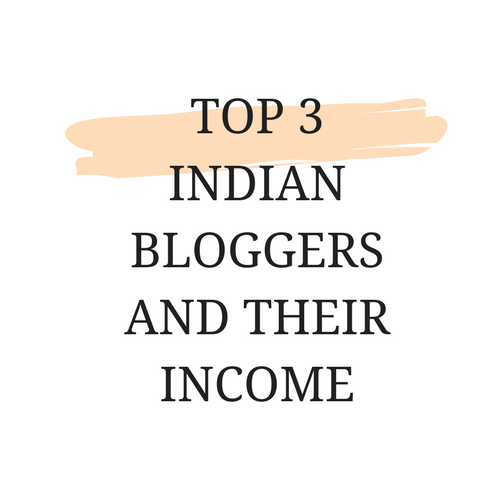 Income Source : Adsense,Paid ad,Affiliate marketing. Harsh Agarwal is Also one of top earners of blogging in the world he is the founder of ShoutMeloud blog and he Inspires People to start a blog and his shoutmeloud blog deals with help New bloggers by Giving tips and Solution to New bloggers He started blogging in 2008 for Fun and found out His posts were becoming popular and then he took a domain started his blog. His Income in 2017 December is 50,000$ which is displayed in his website. Income Source : Adsense,Direct Ads,Affiliate sales 50%. Income Source : Premium Memberships,Adplacements,Affiliate Sales.